One Eternal Day: "It ain't my goal to gain the whole world, but give up my soul." "It ain't my goal to gain the whole world, but give up my soul." On "Saved," Dylan puts the message across as fervently as a tent-revivalist, his band chugging along like a train on straight tracks. On the rarity "Ain't Going to Hell for Anybody," he acknowledges his sinful ways and puts them behind him. 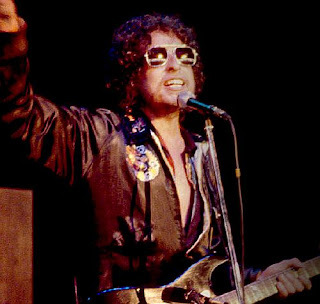 I found it difficult to understand the words to the verses — the chorus is pretty clear — and commentary on the song indicates that in typical Dylan fashion they frequently change from performance to performance. Bob Dylan Lyrics: "Ain't Gonna Go To Hell (For Anybody)"